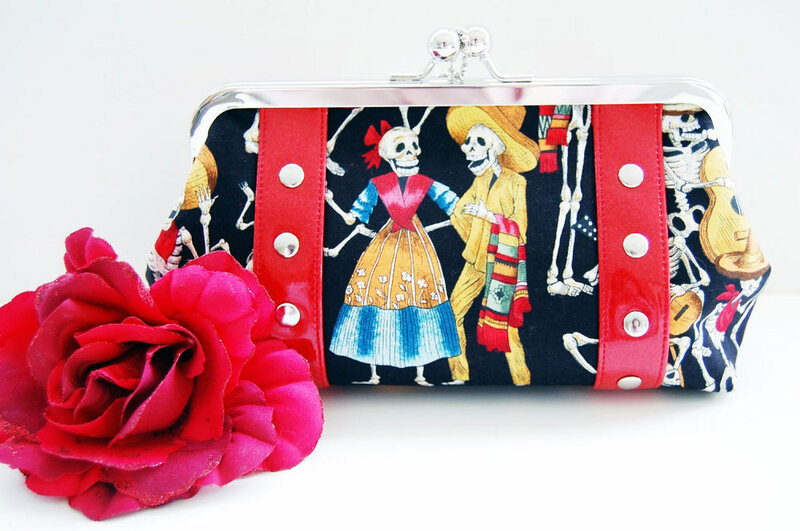 The retro Los Muertos purse features brightly colored Mexicana day of the dead cotton. 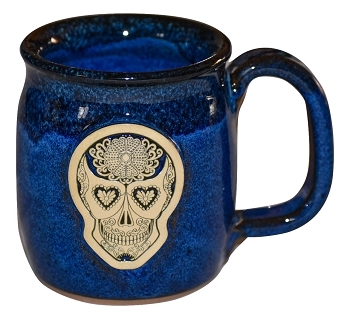 The fabric is printed with images of day of the dead skeletons dancing, drinking and celebrating and is accented beautifully with ruby red sparkle metal flake glitter vinyl. Silver rivets give this clutch a great twist when combined with a retro nickel kisslock frame. Lined with a sturdy black cotton, inside you will find a zippered pocket. Because each bag is individually made, fabric image placement may vary slightly from photo.